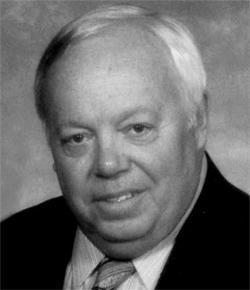 LODI / FORT MEYERS, Fla. - George L. Baird, at 73, passed away peacefully from Multiple Myeloma on Saturday, June 11, 2016, at Agrace HospiceCare. He was born Nov. 7, 1942, in Wausau, to George W. and Elaine Baird. His father, First Lieutenant George, died during World War II defending his country. His mother later met and married Victor O. Gaulke, and together they raised George and his younger brother Greg. George is a 1970 graduate of UW-Eau Claire with an accounting degree. He married Lavora Kufahl on Jan. 6, 1962, in Wausau. He furthered his education and earned accreditation as a Certified Government Financial Manager (CGFM). He worked in the finance area for the State of Wisconsin for 39 years. After retirement, George and Lavora enjoyed winters in Florida. As a boy, George rose to the rank of Eagle Scout and was a member of the Order of the Arrow. He was a member of both the Wisconsin and Sarasota Trap Shooting Associations and was an avid participant in the sport. He also enjoyed downhill skiing. As a member of the Madison Ski Club for 28 years he participated in numerous ski trips with his wife and friends from the Madison Ski Club. He also enjoyed family get togethers and was blessed to have the whole family together this past Christmas. He also enjoyed boating and motorcycling. George is survived by his wife of 54 years, Lavora; daughter, Tamara (Bruce) Sakrison; son, Brian (Jennifer) Baird; grandson, Shane Sakrison; brother, Gregory Gaulke; and is further survived by other relatives and friends. He is preceded in death by his parents and a grandson, Tyler Sakrison. A funeral service will be held at 11 a.m. on Thursday, June 16, 2016, at CRESS FUNERAL HOME, 3610 Speedway Road, Madison. Burial will be in Forest Hill Cemetery, and a luncheon at the funeral home will follow the burial. Visitation will be from 5 p.m. until 7 p.m. on Wednesday, June 15, 2016, at the funeral home, and also from 10 a.m. until the service at the funeral home on Thursday. The family suggests that memorials may be made to the UW Carbone Cancer Center, 600 Highland Ave., K4/646, Madison, WI 53792-6164, or the Ice Age Trail, 2110 Main St., Cross Plains, WI 53528. George was always thankful, kind and respectful. We love him and will miss him a lot. Please share your memories at www.CressFuneralService.com.